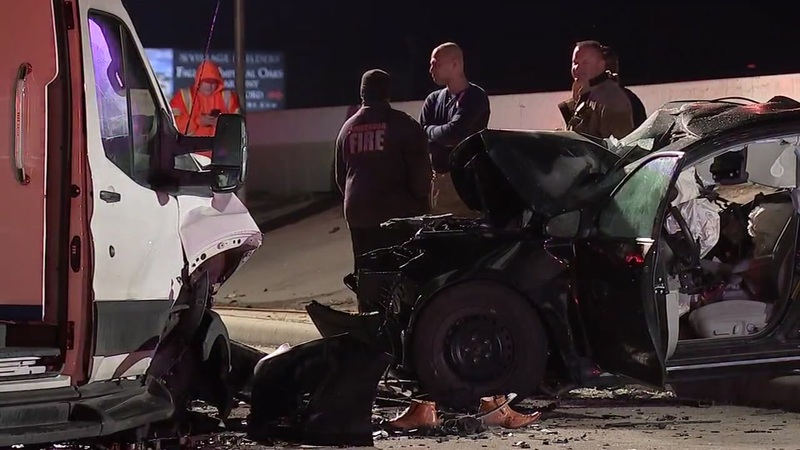 A woman is in critical condition after a violent crash on the North Freeway. HOUSTON (KTRK) -- A woman is in critical condition after her car was struck by a transit van in north Houston. The accident happened around 3:30am on the southbound lanes of the North Freeway before FM 1960. Deputies say the driver of the transit van was traveling the wrong way on the North Freeway when they crashed into the woman's Toyota Camry. The victim became trapped in her car and had to be rescued by firefighters. Life Flight responded, transporting the woman to the hospital in critical condition. Deputies say the driver of the transit van is being tested for driving under the influence of alcohol.